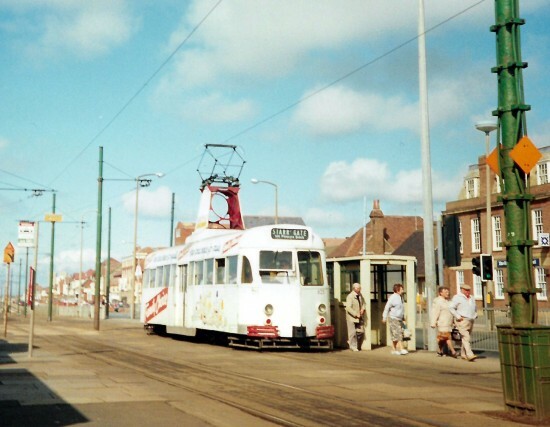 Its another one of my early tram photos which features for Picture in Time today as we are once again in 1992. 1992 wasn’t the first time that I had been to Blackpool but it was the year that my interest (obsession!?) truly began. This photo shows 625 at Bispham which is operating a service all the way through to Starr Gate via Pleasure Beach (unsurprisingly). The tram is carrying a plain white all over advert for Family Choice – the only full advert livery it ever received. A fairly strange advert at the time as it was completely blank on the ends of the tram but it was a simple design and there were certainly a lot worse to come in the next 20 years! As for the tram it is currently back at Rigby Road Depot for storage on behalf of its private owner.